John S. “Mike” Beever, 83, passed away on December 5, 2015, due to complications from cancer. Born on July 15, 1932, to Granville H. and Harriet (Shepherd) Beever, he was raised in Sharon, Massachusetts, attended local schools, and then graduated from Williston Academy. At the University of New Hampshire as an engineering student, he first met his future wife, Sarah Jane Andrew. Mike left school to serve his country in the U.S. Army during the Korean War. Upon returning to the States he married Jane in 1956 and finished his degree in Civil Engineering at UNH. He was employed after graduation at U.S. Steel in Pittsburgh, but then with a growing family moved to Gorham, Maine, in 1961. He worked for a short time at L.C. Andrew Lumber Company, and then bought the C.E. Carll Insurance Agency, which had been named for Jane’s grandfather. The insurance office grew and was successful under his direction for over 30 years. In 1992 his son Jason Beever joined the company and took over leadership as the fourth generation in the family business when Mike retired in 1994. Ingrid Hetfield, age 81, of Ocean View died Tuesday, October 20, 2015 at home. She was born in Colorado Springs, CO and was the daughter of the late Tor and Elizabeth (Hamlin) Hylbom. 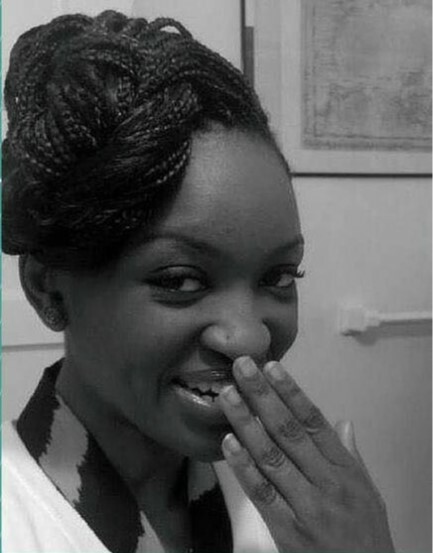 Ingrid was a graduate of Northampton School for Girls and Smith College. Prior to moving to Ocean View she raised her family in Plainfield, NJ where she was active in Twins Mother’s Club and was a Cub Scout and Girl Scout leader. She had been employed at Fabric Land in North Plainfield, NJ, Hess Apparel in Ocean City, MD, the Rose Garden in Bethany Beach and Good Earth Market in Ocean View. Since December 1971 Ingrid has been a proud friend of Bill W. She was a Master Gardner who was happiest when working in the garden. She was a world traveler who as a child lived in Sweden and traveled across the United States, Canada, Europe, Brazil and Egypt. She is survived by a son, Walter L. Hetfield V of Milton; three daughters, Betsy Joyner and husband Greg of Burlington, NC, Kathy Magee and husband Bob of Ocean View and Peggy Horner of Moore, SC; seven grandchildren, Grace and Ingrid Hetfield of Rehoboth Beach, Patrick Magee of Concord, NC, Timothy Magee of Ocean View and Caroline, Katherine and Anna Horner of Moore, SC. Ingrid was preceded in death by her husband Walter L. Hetfield IV, her sister Elizabeth Frazer and brother Martin Hylbom and nephew Paul Hylbom. William E. “Bill” Cohen, 75, a longtime resident of Medina, passed away Monday, August 18, 2014, at Hospice of Medina County, of cancer. Bill was born July 2, 1939, to the late Morris and Ida (Kelman) Cohen in Westfield, Massachusetts, and raised in Laconia, New Hampshire. 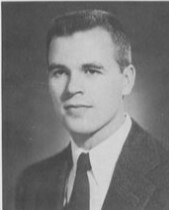 Bill attended Baylor University, majoring in English. Following college, Bill was employed by Clark Discount Department Stores, then Cooks Discount Stores. While employed at both, he opened new stores, as well as managed stores throughout the U. S.
Janet Wolfe passed away peacefully November 30 at home surrounded by her loving family. She was 101 years old. Born in NYC in 1914, Janet attended Dalton, Ethical Culture, and the Northampton School for Girls. During WWII, she served in the American Red Cross in Rome. After the war, she worked with Roberto Rosselini on Paisan, toured with Orson Welles’ Mercury Theater, and taught the rhumba to Arthur Murray. She married composer Sandy Matlovsky in 1952 and had two daughters, Alisa and Deborah. Throughout the 70’s, 80’s and 90’s, Janet was the inspiration for a series of short stories in the New Yorker’s Talk of The Town. In 1971, she founded the NYCHA Symphony Orchestra, giving opportunity and visibility to classical musicians of color. She served as its executive director for over 40 years. Janet is survived by her two adoring daughters and two beloved grandsons, Jake and Sam. Ruth Marion (Chapin) Parsons, 89, of Easthampton, died Thursday, Nov. 26, 2015, at the Fisher Home in Amherst. She was born July 23, 1926, in Northampton, the daughter of Frederick and Mabel (Wallin) Chapin. 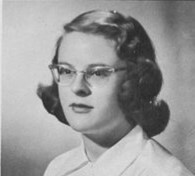 Ruth attended Easthampton schools and graduated from Easthampton High School class of 1943. She entered the Cooley Dickinson Hospital School of Nursing and became a member of the Cadet Nurse Corps. She graduated in 1946. Ruth worked at Cooley Dickinson Hospital in many departments and retired as charge nurse of the operating room in 1990. She also was the school nurse for the Williston Northampton School from 1967 to 1972. After retiring from the hospital, she worked for Associates in Surgery in Northampton. Ruth was a member of the Christ United Methodist Church, the Tuesday Afternoon Club, the Daughters of the American Revolution and the Association of Operating Room Nurses, Ruth volunteered at the Cooley Dickinson Hospital and worked at Red Cross blood drives. Ruth was predeceased by her sister Marjory Cater and nephew Brian Cater. Ruth is survived by one sister, Phyllis Lamere (Alfred) of Weston, and a brother-in-law Robert Cater of Nashua, New Hampshire. She leaves three children, Calvin Parsons, Jr., of Gill (fiancee Cheryl Faufaw), Rebecca Parsons of Easthampton, and Sally Conant (John) of South Deerfield, and four grandchildren, Timothy Parsons (Sandra and their son Dakota) of Fitzwilliam, New Hampshire, Dana Parsons (Youko) of Amherst, Emily Conant of Lubbock, Texas, and Margaret Conant of Burlington, Vermont. She also leaves a niece Susan Cater and two nephews, Vernon and David Lamere. Alice Newton Childs Smith, 100, who for more than half a century actively and tirelessly supported many community organizations in Holyoke, died Wednesday, Nov. 18, 2015, at Loomis Village in South Hadley. Born Jan. 20, 1915, in Holyoke, Mrs. Smith was the daughter of Katharine (Ware) and Herbert B. Newton. Her father was a well-known paper manufacturer and the president of Newton Paper Co. Her parents had a summer home on Lake Raponda in Wilmington, Vermont, which Mrs. Smith continued to maintain until her death. After a year at Northampton School for Girls, where she won the school-wide math prize, Mrs. Smith attended Emma Willard School in Troy, New York, graduating in 1932. At Vassar College (Class of 1936) she majored in French and afterwards worked in Northampton and later Boston for several years.